Fun, fun, FUN things to chat about today! 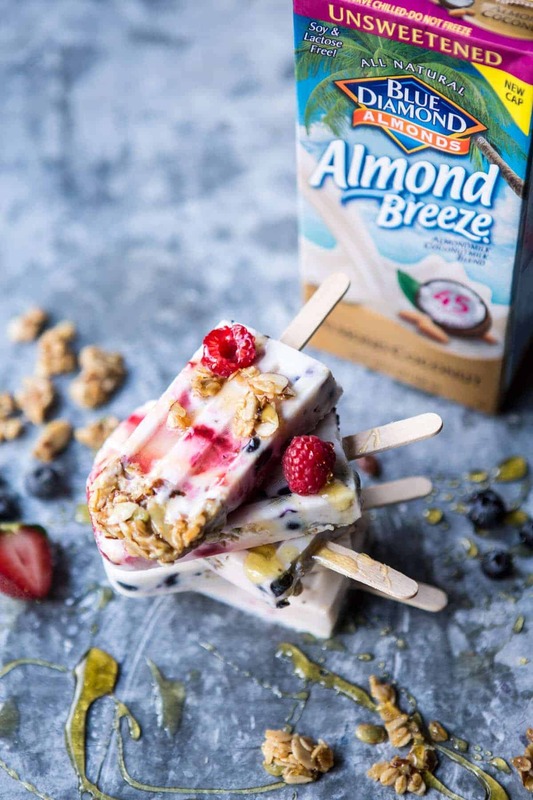 First and most obvious are these Coconut Almond Breakfast Pops! How fun and cute are they? I mean, ice pops for breakfast? Well, OK! Who can argue with that? Asher pretty much flipped over these and she didn’t even know that they were supposed to be breakfast pops! She just loved the creamy texture, fruity flavors and the crunch from that granola. In her long, slow and exaggerated words, “soooo gooood”. SO, I’m really excited to share with you that Almond Breeze is the official sponsor of the USA Volleyball Team. 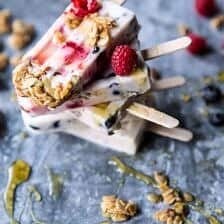 I’ve teamed up with them to bring you these healthy breakfast pops that will help you and your family “Serve Up Your Best” all summer long… Ok and then even into the school year, because how amazing would these be for a quick back to school breakfast when you’re running late (Mom). Or maybe even better as an easy after school snack. Totally stocking up on these before school starts so Asher can come over after school and actually have something healthy…as opposed to like, cookie dough…oops. When I was thinking up a recipe that would be healthy and energizing for these athletes, I immediately thought of something with protein, fruits and healthy carbs. Seeing as most of us are almost always on the go, I figured it would be fun to turn some ice pops into a healthy and complete morning breakfast! Don’t you just love all my enthusiasm? Hehe! It’s summer, it’s got me wrapped up in a ball of energy… ok and all those berries just make me smile. Here’s the deal, these pops are beyond easy. Possibly one of my easiest recipes of the summer! 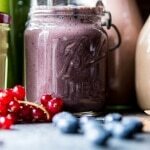 You just need four ingredients: plain Greek yogurt, Almondmilk Coconutmilk Blend, fresh berries or chopped stone fruits, maple syrup or honey and granola. Simple as that! To get a super creamy ice pop, I prefer using full fat plain Greek yogurt. You can also use fat-free or two percent, but you’ll get an icier pop as opposed to a nice creamy popsicle by using the full fat. For my berries, I used: strawberries, blueberries, and fresh cherries. Please use what ever combo of fruit you love. Pretty much any fruit will work, all berries, all stone fruits (chop them if they are big), pineapple, banana, mango… oh and chopped melon (cantaloupe, watermelon, etc) would be delish too! Lastly, for the granola, I gave you guys a super quick homemade granola recipe that I highly recommend trying, but if time is short, store-bought granola works great! Just make sure it’s not loaded with sugars. OKok! So for the final fun part of this post… I know, I know, so many fun things today! It’s giveaway time! Over the past year I’ve partnered with Almond Breeze to bring you not only this post, but several others. Therefore, it’s that time of year again for a little reader survey! These surveys really help to find out more of what it is that you guys, my awesome readers, want to see more of, and hear more about! Each reader who takes this super-quick (13 questions) survey and then comes back and leaves a comment on this post will be entered for the chance to win one (1) $50 VISA gift card. Honestly, the survey is fast, easy, and should only take a couple of minutes to complete. I would be so grateful if you guys could head over there now and tell me all about the things you love and don’t love on HBH! 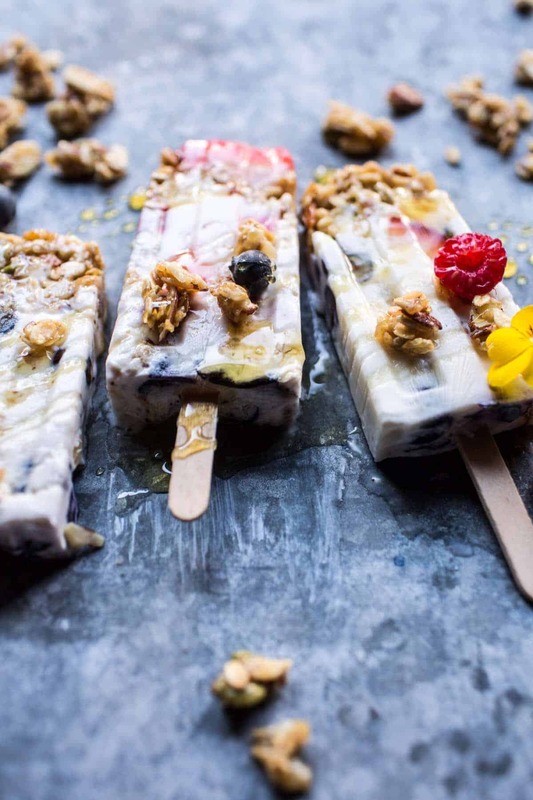 Coconut Almond Breakfast Pops! How fun and cute are they? I mean, ice pops for breakfast? Well, OK! Who can argue with that? In a medium size bowl, mix together the yogurt, Almondmilk Coconutmilk, and maple syrup until combined. 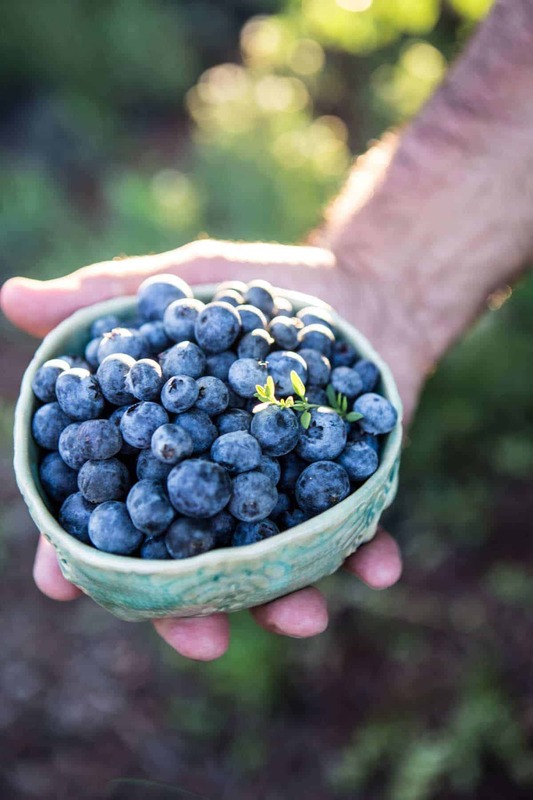 In another bowl, add the fresh berries and gently mash them to release some of their juice, but don't mash them into a sauce. 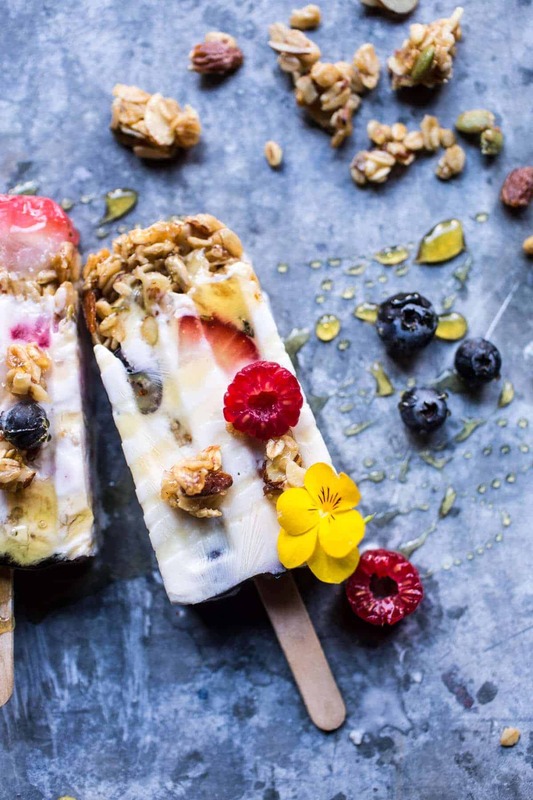 To assemble, layer the granola, yogurt and berries evenly among 10 popsicles molds. It is OK if the layers are not perfect, it makes for a very pretty popsicle. Cover the tops of the mold and freeze until firm, about 4 hours. To remove the popsicles run the mold under hot water for 10 seconds and then pull the popsicles out of the molds. Store in the freezer. Drizzle with honey if desired. And now?!?! I think I need a popsicle. Yup. let’s do it! 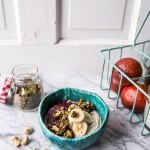 Roasted Cashew-Almond Yogurt Bowl with Stove-Top Matcha Green Tea Granola. Thank you Julia!! Wish I could give you one!! These look so good! Many of my favorite ingredients in one popsicle-cant beat that! took the survey!! these look delish! Yum! I make breakfast popsicles all the time, and kids love them! These are so pretty! I’m new to them but yum!! They’re so good! These look fun to make! They are!! Hope you get to try them Rachael! It is so good!! Thank you so much London! Hey Amanda! Thank you! I will fix that, hope you love the pops! THIS. LOOKS. AMAZING. I love coconut milk anything and granola? yessss. I took the very quick survey and I am DEFINITELY making these for breakfast this weekend!!!! Thank you!! Hope you love them!! great idea – my daughter needs to take medicine w food when she gets up and is not much of a breakfast eater – this may be the cure!! What a fun breakfast idea! I’m really excited about the Olympics too! Yummy, these popsicles look fun and delicious. I was thinking about investing in a popsicle mold, and now I definitely am going to! YAY Hope you love them!! Thank you. Thank you!! Haha, hopefully they will believe you! I’m loving these gorgeous pops Tieghan! They are definitely the perfect thing for back to school season or any other time of year, yum!! Thanks Tori! So happy you like them! I’ve never thought of popsicles for breakfast until now; the game’s been changed!!! Awesome!! Hope you love them Angelia! 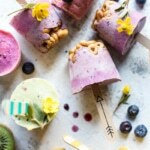 I just took the survey, now I’m on my way to the grocery to pick up the almond milk and Greek yoghurt to make these popsicles! YAY!! Thank you so much! Hope you love them! I’m going to try these pops but I’m going to try freezing them in my empty gelato containers, they have a screw top lid and I’ve been saving them for something good, these sound way better than food! That way I can serve this as a cool, light summer dinner! Thank you! That sounds perfect for the pops! Hope you love them! Ok I have to have eggs or my steel cut oats for breakfast ( 5:30 AM) or I wouldn’t make it to the 11:30 lunch time. But I would love one of these when I have recess duty from 12:00-12:35—-it’s hot in August and September. These look delish! I love Blue Diamond Almond milk. I am lactose intolerant so being able to have milk is wonderful! Thank you for having recipes that include Blue Diamond! And yes, took the survey! Your welcome!! Thank you for taking the survey!! I just made coconut milk popsicles that look like this and they were so delicious! Love popsicle season! Took the survey. I love almond milk but it had to be homemade:) love your blog! My mom has been drinking almond milk for years and this recipe looks delicious! I can’t wait to try it out. ? Thanks, hope you love them! Ohh breakfast pops! What a fun idea, especially for those days it’s already so hot even early in the morning. Thanks Julia!! Hope you love them! Hi Tieghan- Just did the survey, hope it helps. I love reading your blog everyday and have made so many things that you post. Can’t wait for your cookbook! Popsicles look great! Love Almondmilk, it’s the only thing I use! Hey, where did the pop cycle molds come from? These look great! My 6 yr old loves yogurt!!! i have to say, these are not my favorite molds however as they are kind of hard to remove. I love healthy summer snacks! 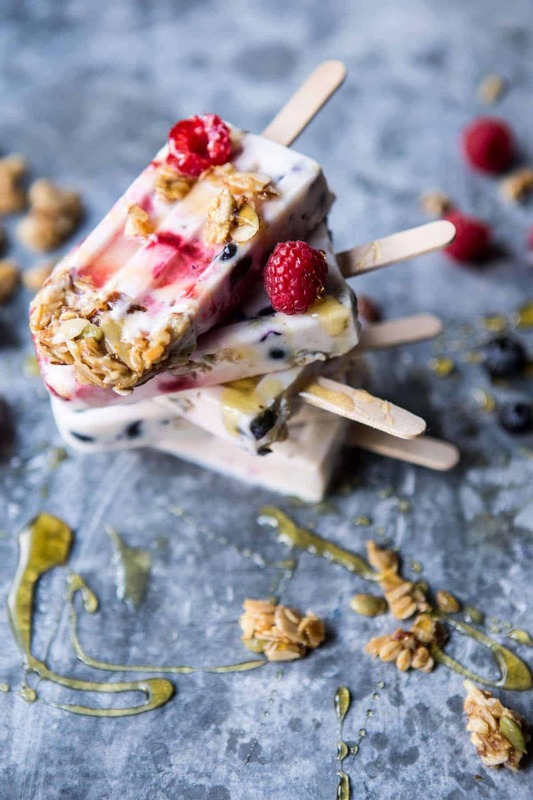 Love these breakfast pops! Took the survey, a huge fan of your blog! I love your blog so much!!! have made so many amazing recipes that just BURST with flavor and freshness. I can’t ever get enough. Filled out the survey, I hope I win!! Breakfast popsicles are the best!! I mean, where were they when we were kids? These look just so scrumptious! Took the survey and can’t wait to make these pops! Flavors sound excellent, but cold for breakfast? Maybe later in the day! YUM. Definitely might make these for my family to take before work! Seem like a great post-workout snack too. Genius! And sooo pretty! And I’m sure delicious, can’t wait to try them! I would really like to answer your survey, and it’s not because I want to enter the competition, but the survey is only made for US residents. I don’t know if it is possible to make a survey for non-US residents? This would definitely be a great after school snack for me during the school year and I’m in high school. 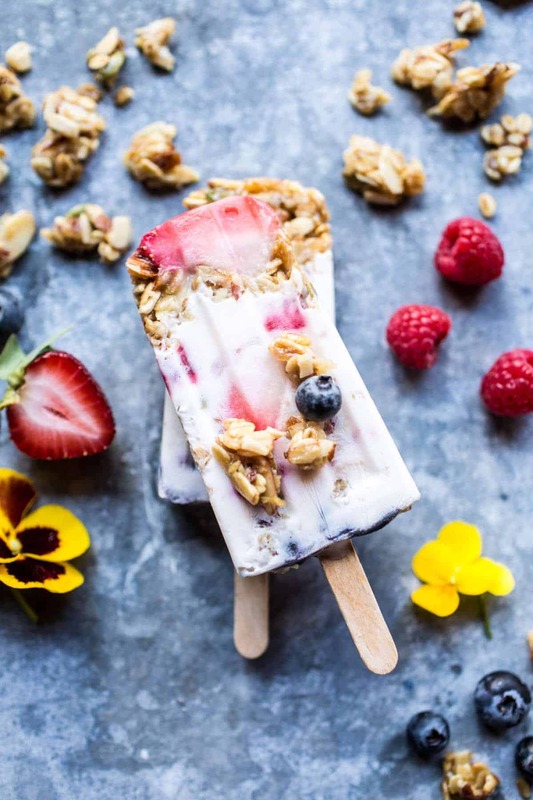 😉 These popsicles literally have all my favorite things…Greek yogurt, berries, granola, and milk. Can’t wait to make them! Yes!! They would be perfect!! Best-tasting almond milk! Besides homemade… but we don’t always have time for that. Such a fan of Half Baked Harvest! Took the survey and can’t wait to make these breakfast pops! These look so tasty! I love how simple they are. I’d probably try making them with fresh mangoes, raspberries, and coconut almond granola! These look like a great summer treat! Can’t wait to make them! I love reading your blog and have tried many of your recipes. Looking forward to your cookbook. The Popsicles look yummy. So creative, thanks for sharing! I am so glad I saw this today! Just bookmarked to make later. So excited! Thanks Cathleen!! Hope you love them! This is a great recipe-simple and healthy. I LOVE finding recipes that will get my toddler to eat, and that I enjoy also. Thank you so much! Love that your toddler likes them! B’fast, lunch, & dinner pops! It’s to hot to make/eat anything else. Took the survey. How ironic!! Thank you Madie! Oh yummy! I love a good almond milk. Took the survey too! welp i’ve always been a food blog lurker but you’re making me come out of hiding with this giveaway ? those popsicles look utterly divine honestly. definitely going to make them soon!! Wow thanks so much Serin!! I hope you love them!! Ahhh these look so so good ? 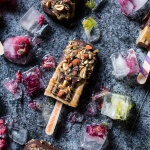 I’ve been on a popsicle kick and these look like I need to make them next! Thanks!! Hope you love them!! These would be perfect for that late afternoon snack that I always seem to crave. Satisfying, sweet and relatively healthy – you’ve covered all the bases, Tieghan! So perfect!! Hope you love them!! Thank you! Today’s is crazy hot in Montreal. I should have made these yesterday ahah !! I took the quiz and those pops look delicious. Thank you so much Faith! Hope you consider the pops! Your food is amazing! Everyday I look forward to what you are making next, and I can’t wait for your cookbook! I think you should have your own restaurant! WOW Thank you so much! My own restaurant could be so fun! Ok so I think I can make these, I just have to find my popsicle mold! I have everything on hand too! These look incredible and we are due for another heat wave here so these came at a perfect time! These look great! We just started going dairy free, so I’m excited to have another way to use almond milk! Perfect!! Good for you! Hope you love them!! Thank you! The survey was quick! Super cool and the recipe looks great. I must admit that I check your blog a probably unhealthy amount (and cook from it too), but I don’t ever comment! I’ll have to start. I took the survey. These pops look so good! I was hoping we would be able to tell them all of the things about HBH which impress us and inspire us. HBH is a lovely respite from the day and a frequent source of inspiration. Thanks! Wow, Heather thats so nice(: Thank you so much! That is AMAZING! Haha!! Thank you so much Amanda!! What a great idea for an anytime, cool, healthy snack during these crazy hot months of summer. YAY! What did you think of them!? I took the survey! Thank you for hosting the giveaway and and thank you to Blue Diamond for the opportunity! Also, have to say, I think popsicles for breakfast is brilliant. ?? As is the case with all your recipes, this looks delicious! I can’t wait to try them! I took the survey. We are loving popsicles, I made your mango-strawberry-orange juice ones and everyone loved them. Hard to believe they are sugar free. These are up next! 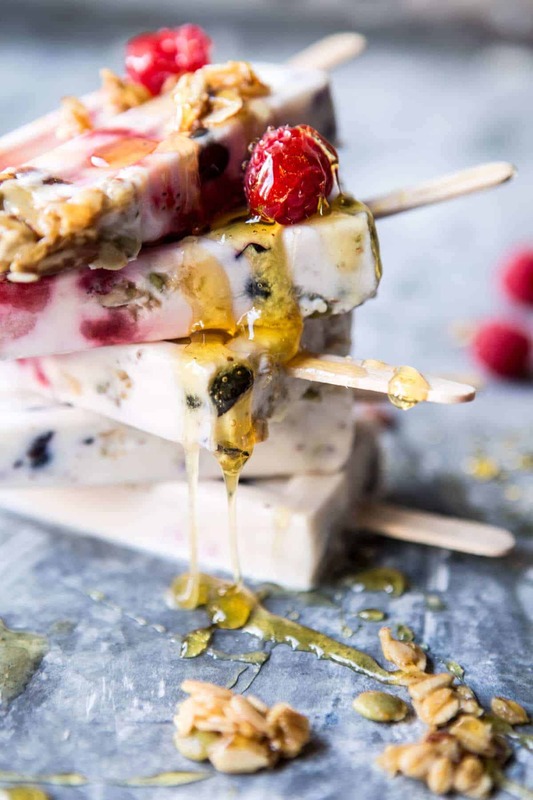 I often have a Greek yogurt/berry/almond parfait for breakfast, and love the idea of turning that meal into a popsicle! Thanks for the beautiful and delicious version of this meal that I can take on the go! The popsicle is great!! No mess breakfast!! Hope you love it! Thanks Kayla!! Ah!! Its so fun!! Thanks Laura!! That was a super fast survey! And these look soooooo yummy! Perfect for summer. Thanks for taking it!! Hope you love the pops Jamie! I always enjoy your recipes. I just found our popcicle mold hidden away in the back of my cabinet, so this is perfect timing. I took the survey! Thanks! How perfect!! Hope you love them!! Thanks for taking the survey! These look absolutely amazing perfect post run snack! I have been loving the combo of blackberries, green grapes, and cherries in my yoghurt lately, definitely going to try that with these! Oh and your blog rocks! What a genius idea to make breakfast popsicles! I looove ice cream so to be able to eat it for breakfast is my idea of heaven! Haha! Yes!! Exactly what I was thinking!! Thank you! That was a super quick survey! Honestly, it might have taken me a minute at most. Thank you for taking it!! Oh my goodness…I am wanting a popsicle right now! They look really delish! Thanks! Thanks Christina!! Hope you love them! Being pregnant in Florida right now causes me to make Popsicles nonstop. Now I have another recipe to ogle!! Took the survey These look great! I am new to HBH and obsessed! All the feel goods wrapped up in the most beautiful food I have seen on a food blog in a long time. Where have I been? No worries, I have wasted no time catching up including all your videos on VIMEO. Survey taken. This week meal plan is made! Lots of catching up… one meal at a time!!! OMG. Popsicles for breakfast!? I need to do this every single day now! They look so amazing. (: Thanks so much Elizabeth. Hope you love them!! Did the survey. It was super quick. Love your blog! Ah, thank you! Good luck? This looks delicious! But I have a question! I am allergic to almond and coconut, could this be substituted with raw cows milk? Thanks! Anyway – verdict? Really yummy. I am not normally a yogurt person (texture turns me off), so this was a fun way to get some in for my morning routine. Super easy to make. I agree with your note – full fat would be creamier, but honestly the 2% was delish too. Will definitely play with this again – thanks for the recipe and idea!! I took the survey. I cannot wait to try these! They look beautiful, as all your recipes do! Thanks!! Hope you love the pops!! I love the breakfast recipes you post using Almond Breeze, so I definitely took the survey. The recipes are healthy, but seem indulgent. We made the banana coconut chia oatmeal just the other weekend. Thanks! Thank you! I love them as well! Sounds delicious!! Thanks for the great Popsicle recipe! Can’t wait to try it this weekend – we’re expecting a major heatwave so it’ll be much needed! Your welcome! Hope you love them!! Yum! Yum! I am salivating at my desk in the office. Oh my, what will my co-workers think? Can hardly wait to try them. Thanks. That is awesome, Thanks so much Aparna!! These look absolutely incredible! And so refreshing! Will definitely give these a try one weekend soon <3 Thank you for sharing! Yes! For sure give them a try, I think you will love them! Thanks so much Leigh!! When will you be announcing the giveaway? HI Natala Janda, I announced the winner, let me know if you have questions. Thanks!